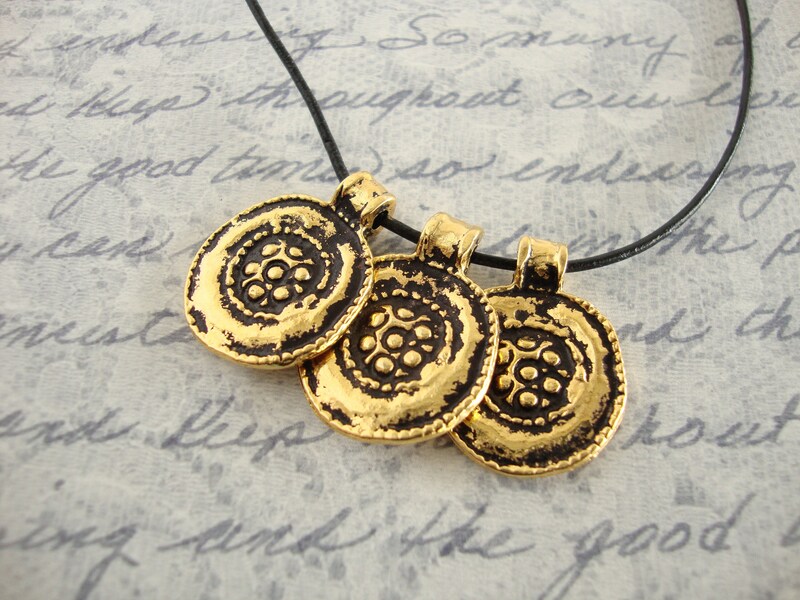 Rustic Gold Floral Medallions. Beautiful finish of 24 karat gold and a black patina gives these an ancient rustic look. Made in Greece. 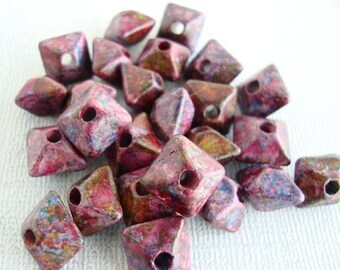 Genuine Mykonos cast beads. Mykonos Castings start with a lead-free base metal, are then coated with copper and finished with fine metals ... 24 caret gold for these magnificent medallions. These are very high quality. Does not rub or wear off. Beads are sold separately..leather cord in photo is for demonstration only.